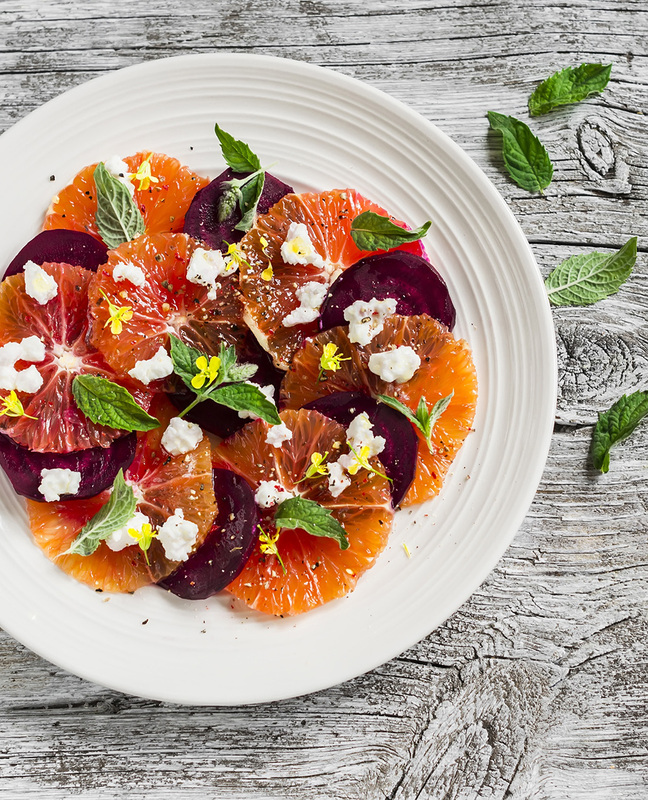 Beets and citrus and mint, oh my! This salad is so invitingly delicious, you may want to eat fruits and vegetables all the time! Roasting beets brings out the beetroot's sweetness and inspires subtle smokiness. Add aromatic mint with tangy and savory feta, and this fresh salad will be a hit during the warm summer months and the whole year long. Besides the fabulous flavors, this salad is packed with Vitamin C and other powerhouse nutrients. Not a fan of beets? A roasted beet salad is a delightful way to add beets to your diet as roasted beets are flavorful and seemingly less earthy (for those who don't care for the beet's signature taste). Red beets are often the easiest to find at the markets, but this recipe works well with red beets, golden beets or Chioggia beets (pink and white striped beets). Don't forget to save the greens atop the beetroot! Saute beet greens or add them raw to smoothies. Yum! Golden Beet, Fennel and Grapefruit Salad, Beet Orange and Arugula Salad with Lemon Garlic Dressing, and Beet and Peach Salad with Basil and Goat Cheese. 1. Gently wash beetroots and cook. Preheat oven to 375 degrees. Individually wrap beets in foil. 2. Roast beets until tender when pierced with a knife. Roasting time varies on beetroot size, but aim for about 35-40 minutes. 3. While beets are roasting, peel orange discarding all white pith and skins. Slice oranges. 4. Peel cooled beets (see beet preparation for details), and thinly slice beets using a sharp knife or mandolin. 5. Place sliced beets and oranges on salad plates. 6. 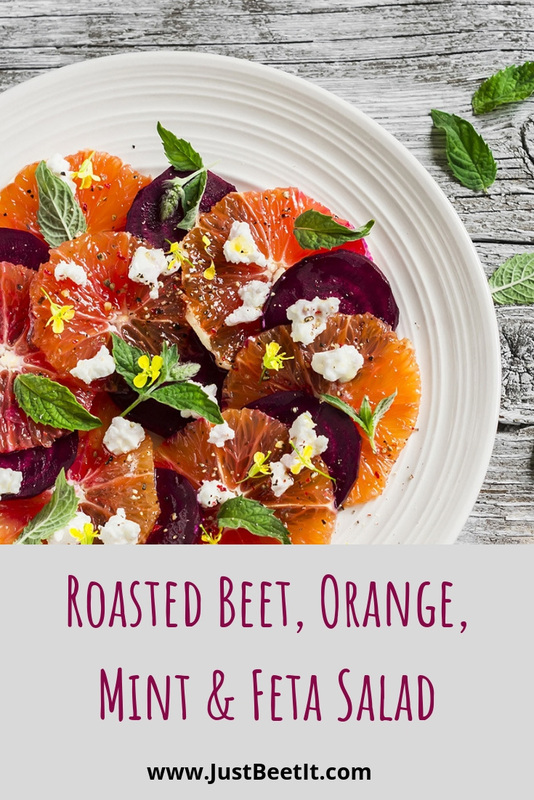 Decorate beets and orange slices with crumbled feta and chopped fresh mint (or whole mint leaves). 7. Spoon dressing over salad ingredients. 8. Season to taste with sea salt and ground pepper. Garnish with edible flowers (optional). Photo Credit: Courtesy of Shutterstock.